Stella Grant (Haley Lu Richardson) is every bit a seventeen-year-old: she’s attached to her laptop and loves her best friends. But unlike most teenagers, she spends much of her time living in a hospital as a cystic fibrosis patient. 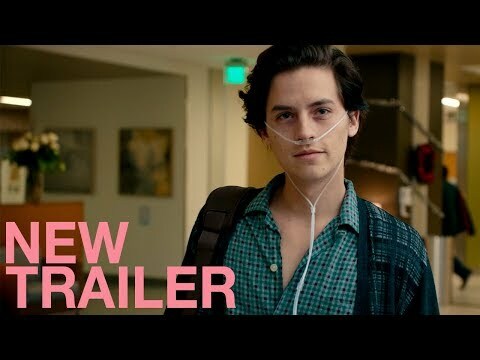 Her life is full of routines, boundaries and self-control — all of which is put to the test when she meets an impossibly charming fellow CF patient named Will Newman (Cole Sprouse). There’s an instant flirtation, though restrictions dictate that they must maintain a safe distance between them. As their connection intensifies, so does the temptation to throw the rules out the window and embrace that attraction. Further complicating matters is Will’s potentially dangerous rebellion against his ongoing medical treatment. Stella gradually inspires Will to live life to the fullest, but can she ultimately save the person she loves when even a single touch is off limits? Five Feet Apart was released on 6d ago in the UK and the US. Based on 13 Five Feet Apart Cinema reviews, Five Feet Apart gets an average Cinema review score of 55. The score for all versions is 55 based on a total of 13 reviews. Richardson, previously wonderful with good material (“Columbus,” “Support the Girls”), here cements her genius status by finding depths beyond the contrived screenplay. Haley Lu Richardson shines in an otherwise formulaic teen romance. The film genuinely grapples with the question of how to live one’s life when death is always potentially just around the corner. Haley Lu Richardson and Cole Sprouse are lovers with cystic fibrosis in Justin Baldoni’s hospital-set teen romance.